Simplicity 2226 done and dusted! Well yes, believe it or not I have finished Simplicity pattern 2226. 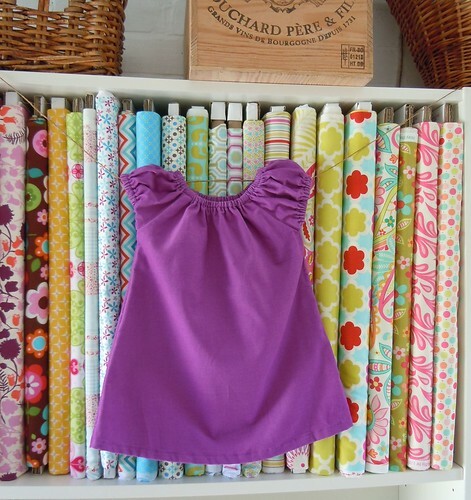 The sew-a-long run by Anna from Noodle-head blog was great. She took the time to show step-by-step instructions with photos; she also shared additional links and notes that were incredibly useful and I will probably use in many other projects. I did view C of the pattern but with a few changes, I didn’t make a belt and didn’t include the tie belts and I used an invisible zipper because, believe it or not, I find it much easier than the other zip with the flap and well it looks tidier. I made a skirt a few sizes smaller than I should have if I had followed the sizing in the back of the pattern, and I took in a bit on the sides just to have a better fit. I used this ultra soft corduroy, even with all the care that you need to take when sewing with fabrics with nap it was a real pleasure working with it. It is thick enough to use in the winter months but still thin to use in the cooler days and nights during spring and autumn, so I am quite sure that I will get a lot of use out of this skirt. What I like about this skirt so much, is that it is simple enough to make in a day, but because it has a yoke and pockets, you end up with a skirt that looks a bit more complicated that it actually is, and the sense of achievement is incredible. Will I make it again? That is for sure! I have already put aside some fabric for the next one! This corduroy is very similar to needlecord, soft, with a beautiful texture that you won’t believe it is as strong as it really is. The colour is silver but don’t think it is shiny. It is like an off white, something that you will find at The White Company sort of thing; you know, a more forgiving white. What to make with it?? Well, the list is endless but you can make garments of all sorts, messenger bags, Christmas stockings and othe holiday decorations, and I can picture the most feminine clutch of them all! And because is 57″/1.44m wide you dont need to buy lots to make little things. The offer will last from today until Wednesday. Have a lovely Sunday and a great week! How should I finish this dress? I made this dress a while ago, I didn’t make it for anyone in particular, I just wanted to make something with corduroy and didn’t want my first project to be a difficult one, so I went with this Leila and Ben pattern and I used one of the Corduroy in Amethyst by Robert Kaufman, which is as soft as needlecord. The design is very simple and cute, and it doesn’t need anything else to be added on. But at the same time, it is such a basic pattern that it allows you to be a bit creative and add your personal touch. So here is where I am stock, I first thought of just adding a little appliqué, like a flower or a butterfly or even a chain of both along the bottom. But after going through the pages of Stitch with Love (do enter our giveaway if you want a copy of this book) the idea of embroidering something came to my mind. What do you think? How should I finish this little dress? Or should I leave it as it is? PS I know what you are thinking… stop worrying about what else you should add and fix the sleeves as one looks more puffed than the other. Do believe me, they are both the same, I just didn’t do my job well enough whilst taking the photo.